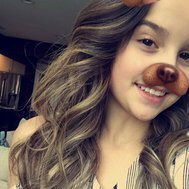 How well do you know Annie LeBlanc? 1: What is Annie's birthday? 2: Who has Annie dated? 4: What is Annie's favorite animal? 5: Who is Annie's mom? 6: Who is her dad? Stop asking me these questions! 8: How old is Annie? 9: Did you enjoy this quiz?